Chemical storage codes are designed to make the public aware of hazards associated with chemicals being stored. 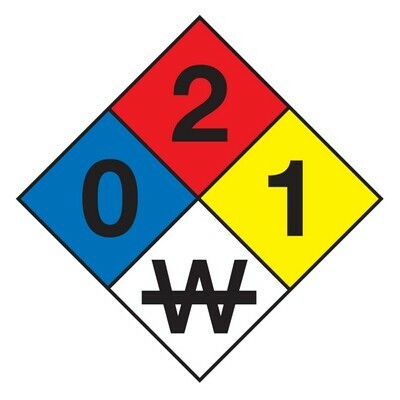 The NFPA 704 diamond displays chemical storage codes in an easy-to-read format. Below are details of chemical storage codes, but first are chemical groups. Chemical groups should be stored separately from one another. The groups are: Metals, Acids, Bases, Oxidizers, Flammables, Poisons, Explosives, Reactives, Cyanides and Sulfides, and Low Hazards. Note: According to chemical storage codes, Ammonium Nitrate is considered an oxidizer, but should be stored separately from all other chemicals.